This entry was posted in General on February 9, 2014 by rs. 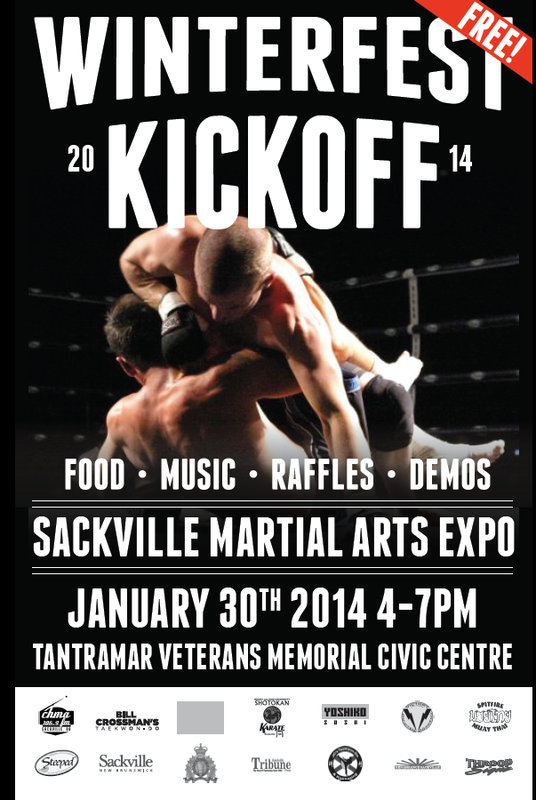 Thanks so much for everyone who came out to our Winterfest Kickoff: Martial Arts Expo! It was a big hit with 150+ attending, and it was a joy to collaborate with Amelie Jarvis-Lavois, Community Programs Officer at the RCMP, and copious community supporters. Renaissance sponsored a free-stranding punching bag, gloves & mouth guard for a youth-only raffle. 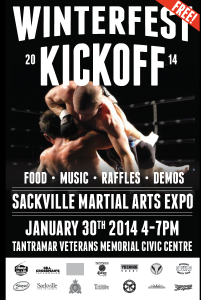 Here’s a video from Mount Allison Karate! ← What are we up to?